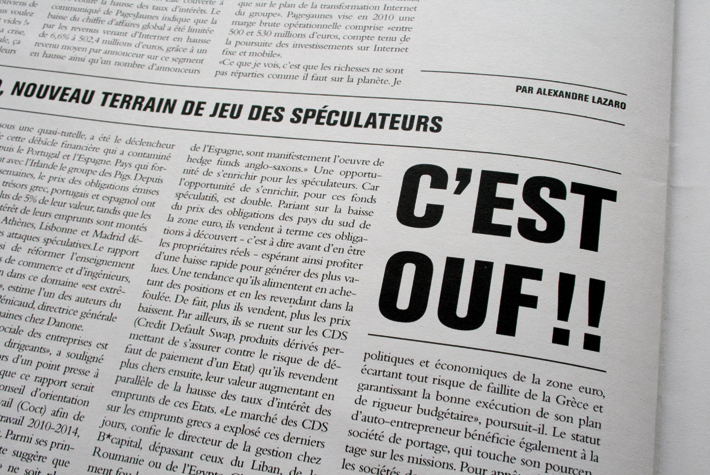 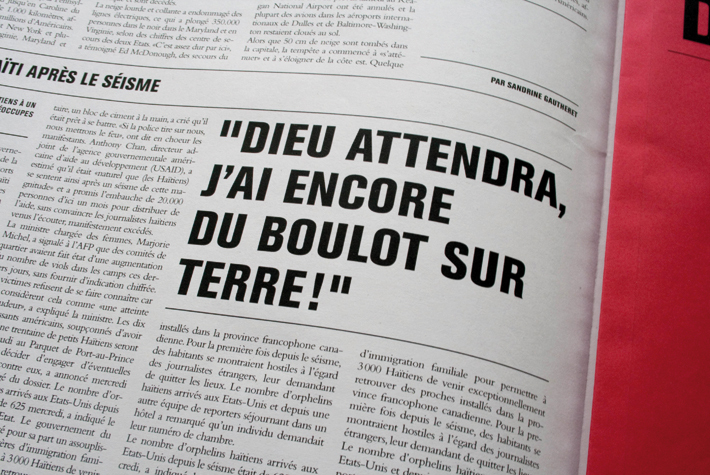 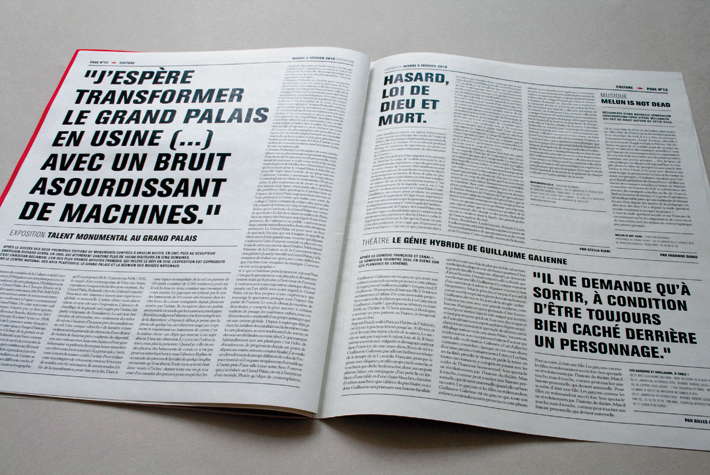 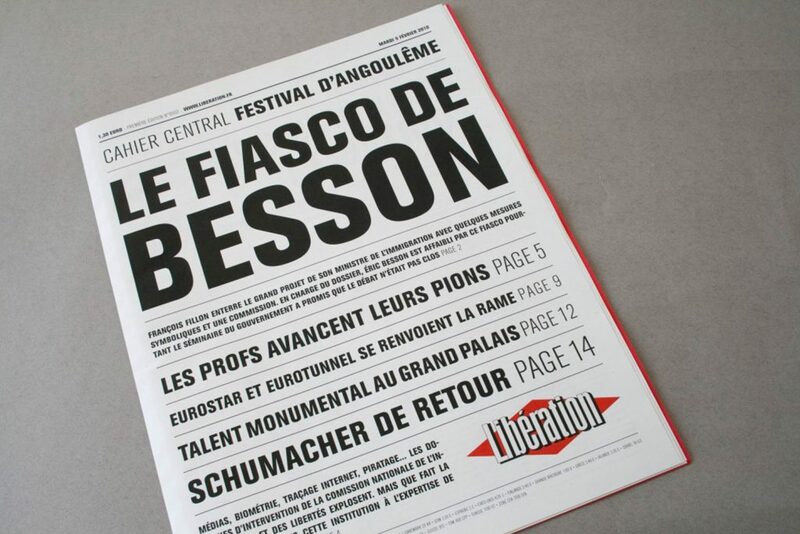 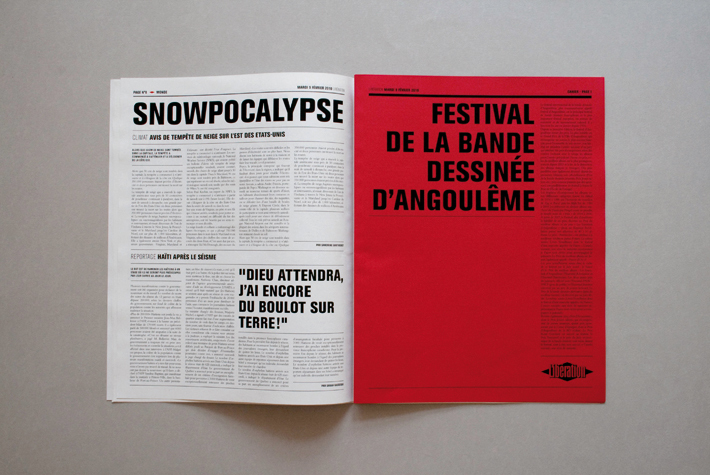 Revision of the newspaper « Libération ». 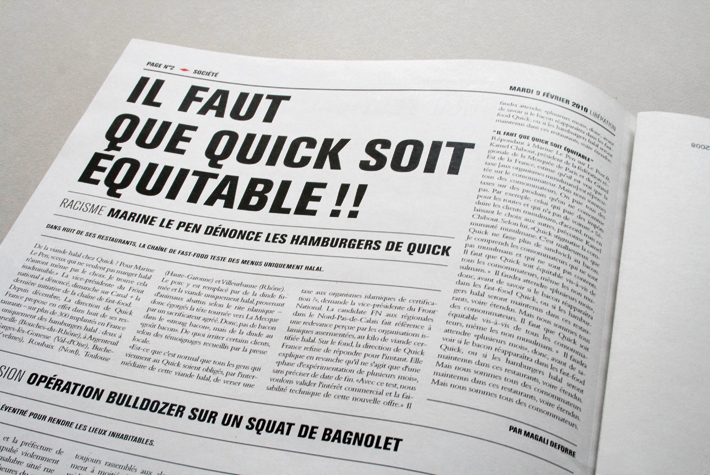 The model of the newspaper has been redesigned on a old newspaper where the typographical work took a very important place. 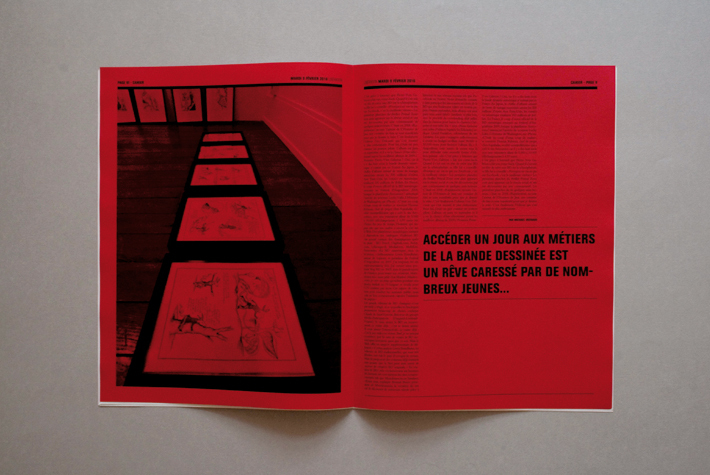 In the middle of the newspaper, there is a a red thematic book with photography.